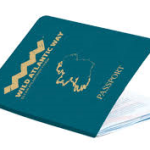 “The Wild Atlantic Way Passport, launched today (Friday), presents a new opportunity to market the popular tourist route to visitors from home and abroad alike”, says Fine Gael Cork South West TD, Jim Daly. The initiative, which was first proposed by Deputy Jim Daly to the then Minister for Transport, Tourism and Sport, Paschal Donohoe last year, has been launched today (Friday) by the Minister of State for Tourism and Sport, Patrick O’Donovan. “The launch of the Wild Atlantic Way Passport comes at a great time, just as the busy summer tourist season is getting under way. The Passport will give Fáilte Ireland a whole new opportunity in terms of marketing the Wild Atlantic Way to both domestic and foreign tourists. “My proposal for a Wild Atlantic Way Passport took its inspiration from the Pilgrim Passport on the Camino de Santiago in Spain. This has been really successful in encouraging the pilgrims back to Spain time and again to complete the full Camino route in a way that might not be the case without the Pilgrim Passport. “Similarly, the whole idea of the Wild Atlantic Way Passport is to encourage repeat visits to the Western seaboard of Ireland by visitors who enjoy their first trip on the Wild Atlantic Way. It will also be a great resource for tourists to find some of the 188 Discovery Points along this spectacularly beautiful route, that they might not otherwise visit. “Tourists can purchase the Passport at over 130 selected An Post Offices along the Wild Atlantic Way route as well as at Dublin’s GPO and St Andrew’s Street Post Offices. The Passport will cost €10 and this includes free entry into a draw for a holiday of a lifetime along the Wild Atlantic Way. As they make their way along the Wild Atlantic Way, tourists will be able to collect official stamps at the local Post Office to prove they have visited the local Discovery Point. 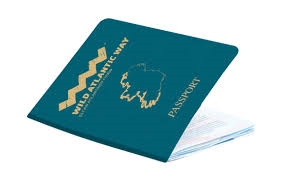 “In the future I would really like to see the Passport being used to promote businesses along the Wild Atlantic Way. For example it could be used by tourists to access discounts and special deals in restaurants or hotels along the route, helping to market these businesses to the visitors.